Zak shaped his first surfboard at 13 in a lean-to down the side of his parent’s house in Viewbank, and offered surfboard repairs to mates and local surf shops during his teenage years. He would catch a bus all the way to Trigger Bros to pick up blanks and resin and remembers being told there wasn’t a cent to be made in shaping surfboards and clothes were where money was to be made in the surf industry. Indicatively, Zak kept shaping and repairing boards and his retail store which he opened in Thornbury in 1999 contains barely a thread of clothing. 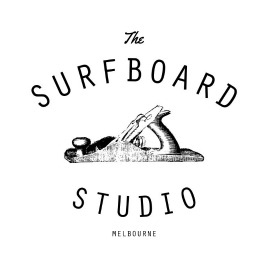 His first store in Thornbury packed 86 surfboards, a wall of accessories, a bunch of skateboards and wetsuits into a 6×3 metre shop in which customers had to walk around single-file to view his range. Zak Surfboards is now located at 307 Victoria Road Thornbury, on the corner of Raleigh Street and stocks over 1000 surfboards. Through the Zak Surfboards store, Zak has made contacted and given continuing support to many local shapers including Maurice Cole, Greg Brown, Dave Boyd, Rousa, Doug Rogers, Simon Forward, Ken Reimers, Michael Anthony, Jordan Noble, Sean Nettleton, Darren Dickson and Andrew Stump. More recently, Zak has spent time in Hawaii and the United States seeking out some of the best shapers in the world including Eric Arakawa, Jeff Bushman, John Pyzel and Matt ‘Mayhem’ Biolos and bringing back a heap of real surfboards from real shapers which were not available in Australia to give you all a choice of the best from Australia and internationally. Over time, Zak moved away from shaping to run the shop and sought out local shapers to produce the Zak range. Today the surfboards are manufactured on the iconic Surf Coast of Victoria by many of the local shapers Zak has made contact with over the years. The Surfboard Studio sees Zak returning to his first love – making surfboards. 4D Surfboards has been a recognised name in the surf industry for the last 10 years. Shaper Simon Forward has been shaping boards for over 15 years and with his knowledge of board designs and the latest computer cutting technology, 4D Surfboards has become one of the leading companies to produce surfboards, standup paddle boards, preshapes for other shapers and Surf Lifesaving Australia registered Nipper boards. 4D Surfboards can be freighted worldwide, nationwide and locally. Michael Anthony otherwise know by almost everyone as “Tichy” has been surfing for 49 years and shaping for 38 and has even done some time under the watchful eye of Al Merrick. These days as MAD (Michael Anthony Designs) he loves shaping simple boards that work – including one particular magic carpet that was pulled off the racks at Rip Curl in Torquay before being served up to Kelly Slater in the Bells comp the year it was shifted to Johanna. You’ll find him surfing his own magic carpets around the Surf Coast, but especially at Bird Rock when it’s on, and at onshore Bells. Ian Chisholm had a vision to build a surfboard manufacturing business for the open minded surfer like himself. The process was to build quality hand crafted product, with the focus remaining on alternative functioning shapes and designs. Torquay, Australia, home of the famous surf break “Bells Beach” was his place of choice. Fast forward to more than 10,000 shapes and over 7000 laminations later, Ian is still forging a path in the surf industry for producing the finest hand crafted surfboards. He is one of the only few board builders left in today’s manufacturing industry who can build premium boards from design & shapes all the way through to the finished product. Ian has worked alongside many reputable surfers that have helped him advance his shapes and develop his skills over the years. These days he is working closely with Craig Harvey, Ben Considine, Jye Whyatt, Billy Whitton, Angela King, Candra Jordan and CJ Nelson to produce a premium range of surfboards from high performance short boards up to small wave gliders, function, quality and attention to detail are always his main focus. Daniel is the newest member of the Surfboard Studio team and is also our go to repair guy. In another life, Daniel studied aeronautic engineering and has transferred this knowledge base to his love of surfboard design and his continual experimentation with composites to the teaching environment at the Studio. Daniel has been taught by a number of local shapers and brings a wealth of technical knowledge, enthusiasm and passion to the classes and all the aspects of surfboard manufacture and design he is involved in.